Well I guess it’s a question of trust. When you are investing a large amount of money on anything you want to know that you are getting your money’s worth, and that the product in question will meet all those expectations. For example buying a car or a house, you want to know it is worth the price tag and if anything goes wrong you will have someone to turn to. Gareth, the founder and owner of Arctic Cabins, has a pet hate and that is buying a product that’s not only overpriced but when something does go wrong you find yourself having endless calls and emails just to try sort things out. Many people out there are quick to take your money but nowhere near as quick to help solve any issues! Which is why Gareth has built all his businesses centred around the same work ethic – high quality products, 10 year guarantee and excellent customer service. We strive to go above and beyond so that all our customers are happy. 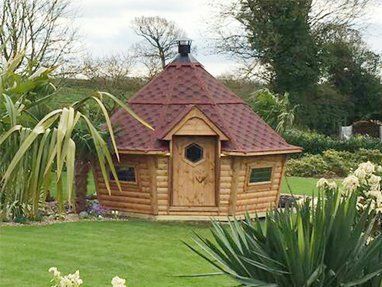 Building our cabins here in the UK not only means you are supporting the British Made Trade, you are getting quality products which are built to last. So how do we ensure we tick all the right boxes? We listen to our customers! In the 18 years the business has been running the workflows and products have been streamlined to perfection. From excellent communication to after care, our fully trained fitters will take all the worry out of your hands! So if you are looking for a BBQ Cabin and you like to know you have the best building on the market, then look no further! Talk to our team today. Absolutely brilliant, including supply of a new door lock (at no charge) after I slammed the door with the latch down! Great to be able to say to friends and family come for a BBQ regardless of the weather. The service from Arctic Cabins was and remains brilliant, would certainly recommend them. Very, very pleased with our 10m cabin. From the original Sales visit, subsequent measurements and support with planning and to final installation everything ran smoothly. A special mention to the installation team, Adam and Darren, who arrived 15 minutes ahead of time having spent a 2.5 hour drive down to our property and then spent the next 7.5 hours erecting the cabin and showing off the different features. Highly recommended. A pleasure doing business. We have had our cabin for almost two years. The whole experience from planning to installation was superb. We love our cabin, it’s extremely well made, very cosy, loads of room for all our friends. We did have an issue with the first team of builders, hence 4 out of 5 stars, they didn’t think it would fit on the base that our son in law had built exactly to plan, so I told them they should take it back as the base was indeed built to that plan. They also wanted to lay the floor with the boards at a cross angle to the door which I queried. We were however sent a second team who did an excellent job, the hut fits perfectly on the base and the floor was laid how I wanted and how the fitters said it should be laid.